Whoever came up with an idea to sell water, bottle it and charge as much as $5 for it is nothing short of an evil genius, like Wile E. Coyote, only this cat dines on roadrunner stew nightly. 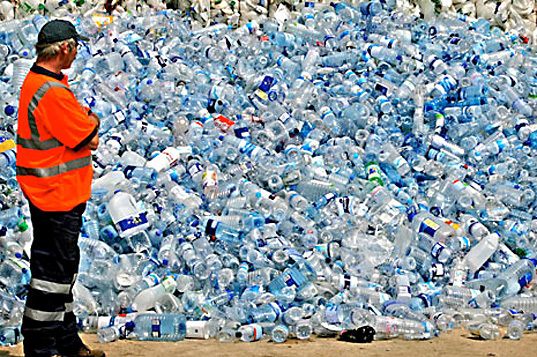 The bottled water industry is now a $60 billion industry — annually. While it’s nice and all healthy-like that all this water is being guzzled, the plastic bottles are causing quite the ecological kerfuffle. To wit, San Francisco has decided it is mad as hell and it’s not going to take it anymore as it prepares to become the first city in U.S. history to ban the sale of any plastic bottles. Anywhere. According to the story, the San Francisco Board of Supervisors approved a measure that would ban the sale of the items at events held on city property. The ordinance, approved unanimously, would prohibit the sale of drinking water in single-use bottles 21 ounces or less on city property, starting on Oct. 1 for indoor events and in 2016 for those held outdoors. If I am working PR for Dasani, Aquafina, Fiji or even Sam’s H20 sold at Walmart, I’m sweating this a little. Why? Because unless you are a different kind of bottled water company, you don’t care about the recycling part of your product and that’s what has San Francisco all up in a tizzy. While I don’t completely understand the ramifications of 38 billion water bottles taking up space in landfills across this country, I do understand the ramifications of citywide protests like this catching on. Unless someone discovers a biodegradable bottle to carry all this water in, tap water is about to experience a renaissance in a few years. So is crisis communications.